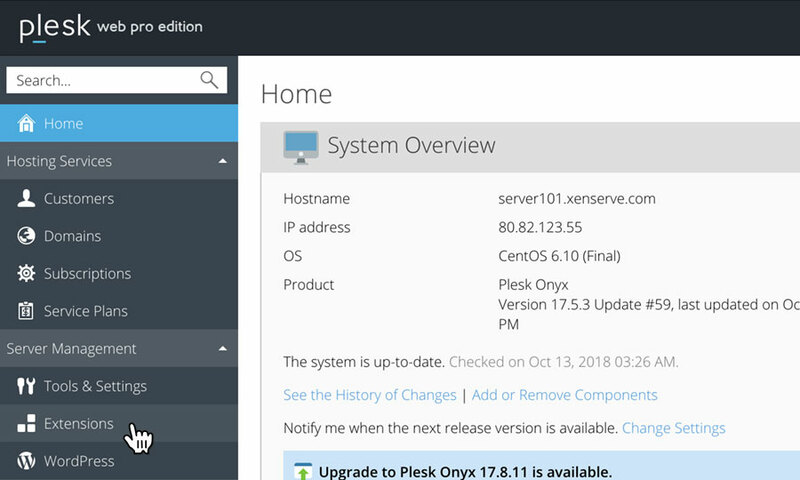 This is a quick step-by-step walkthrough for installing a Let's Encrypt SSL certificate via Plesk Onyx. This will bring up a an overview of your selected domain. Click on the link 'Let's Encrypt'. Please note: If you cannot locate the Let's Encrypt icon, you may need to read 'Installing the Let's Encrypt SSL extension'. This will bring up the Let's Encrypt page. On this page, simply click the button labelled 'Install' to install a Let's Encrypt certificate. 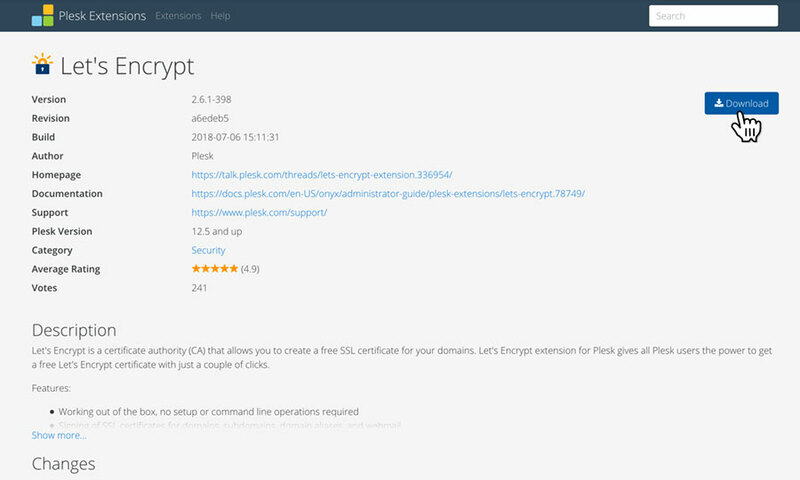 If you do not have the option to install Let's Encrypt via Plesk, you will need to download the Let's Encrypt Plesk extension. 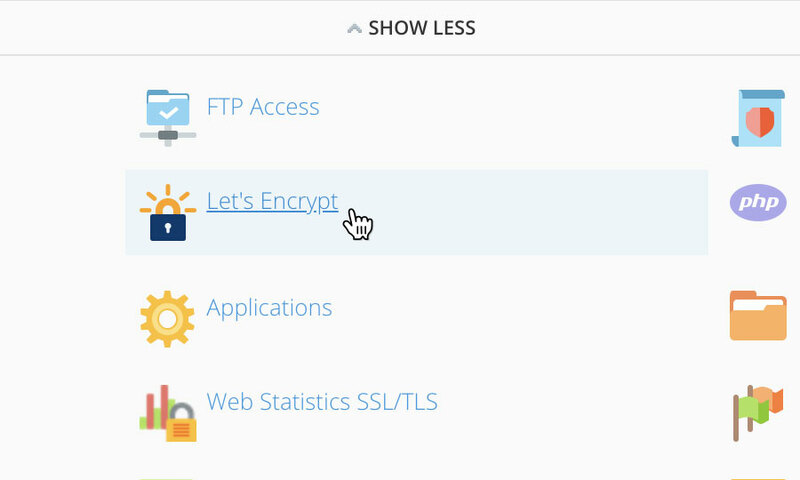 Firstly, you need to download the Let's Encrypt Plesk 12.5 extension, which you can do here. Simply follow the above link and download the zip file to a memorable location on your computer. 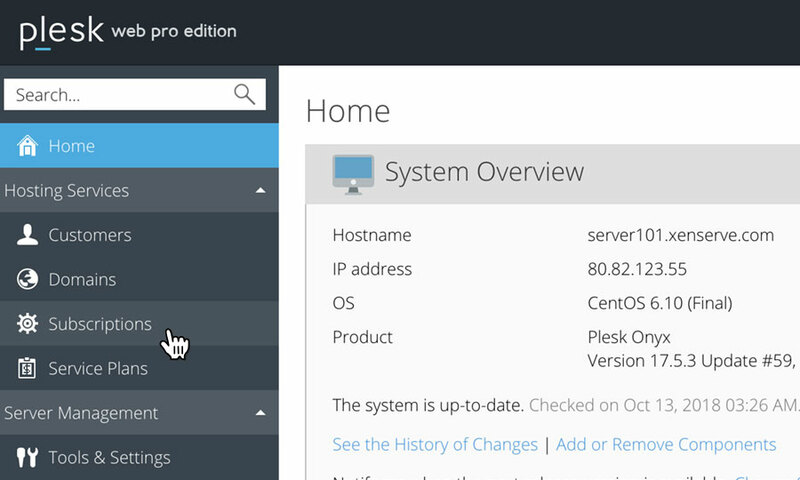 In Plesk, click on the 'Extensions' option, in the left hand menu. 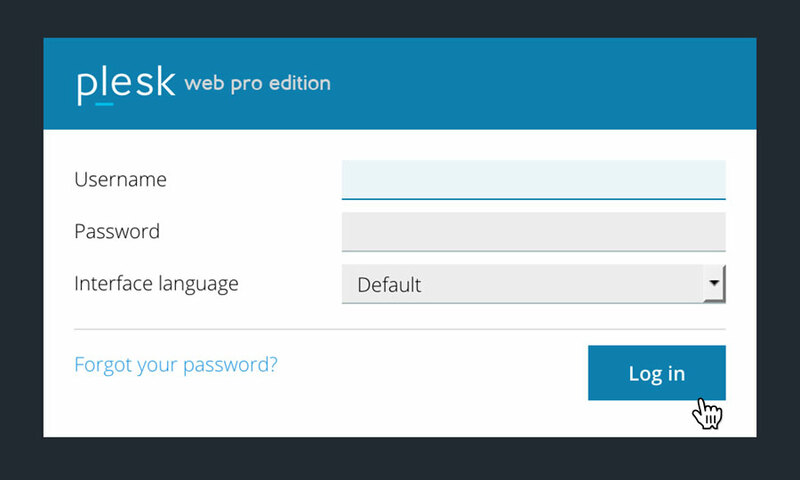 The click on the 'My Extensions' option, in the left hand menu. 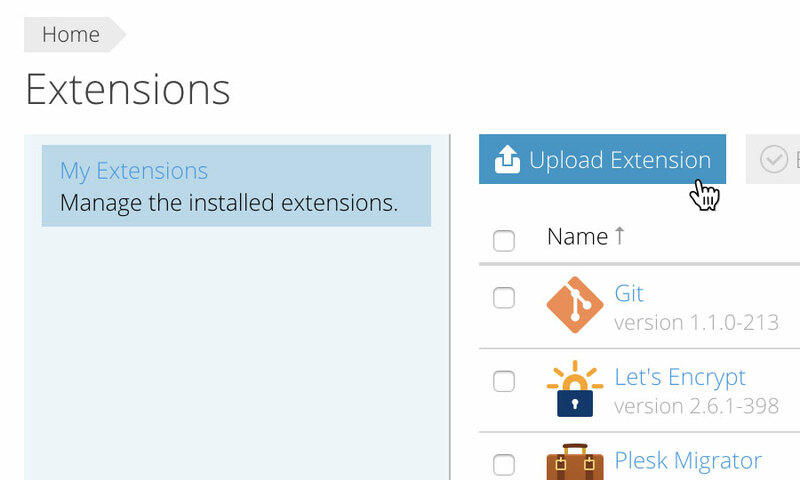 To add the Let's Encrypt extension you previously downloaded, simple click the button labelled 'Upload Extension'. On the upload extension form, simply click the button labelled 'Browse', and locate the Let's Encrypt extensions zip file you downloaded earlier. 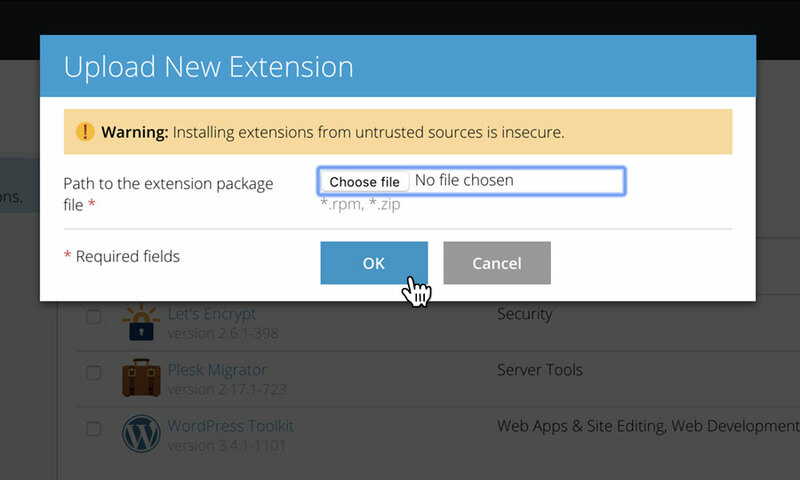 After you have selected the Let's Encrypt extensions zip file, simply click on the button labelled 'OK' to install the extension. 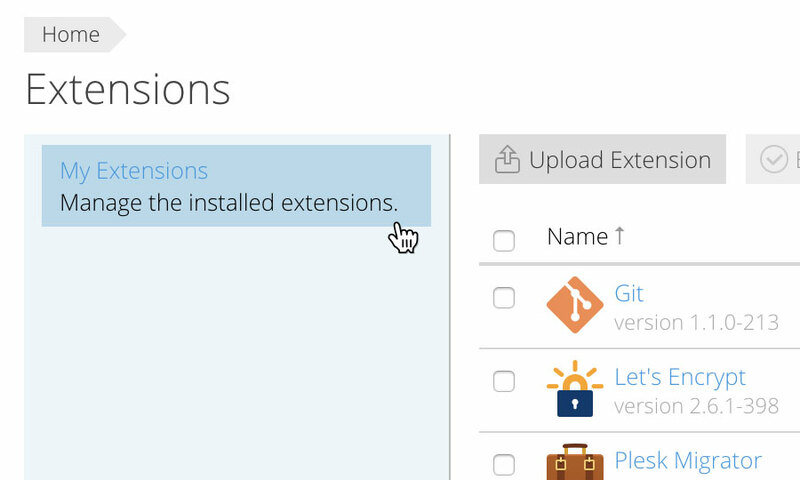 Once the installation is complete, you will be returned to the Extensions page, where the Let's Encrypt extension will be listed. 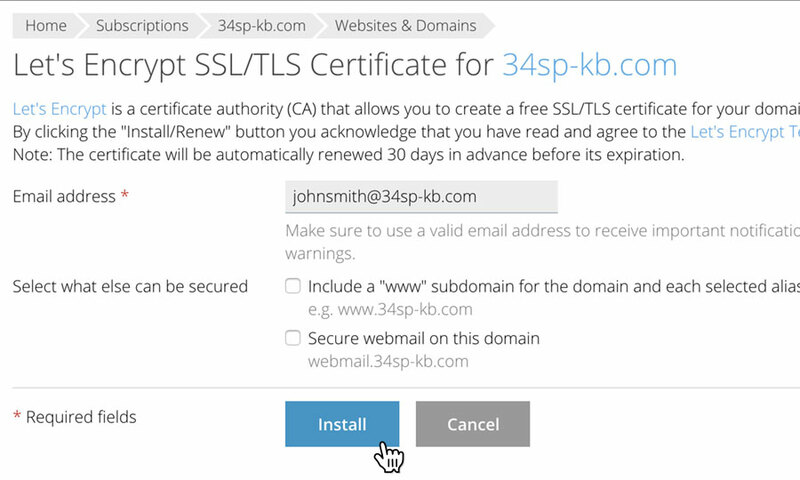 From here, please read 'Installing a Let's Encrypt SSL certificate' to install a certificate on a specific domain. For details on how to force traffic over HTTPS, please read our KB article titled 'How to force HTTPS using the htaccess file'.